Speed, Speed, and More Speed With an 800cc Gas Engine | Intimidator Inc.
WORK. HUNT. PLAY. You can do it ALL with an Intimidator UTV. These American-made machines are perfect for getting jobs done around the house and your business. However, the Intimidator was also designed so you can add a little play into your hard-working schedule. Flying down a dirt road, bypassing obstacles left and right, and letting all your worries go free is the ideal way to unwind after a long day or week of work. Adding a little more speed to your vehicle wouldn’t hurt either. If speed is your thing, then an Intimidator with an 800cc engine is just what you need. Take speed to another level with the liquid-cooled, 65 horsepower, 800cc gas engine. 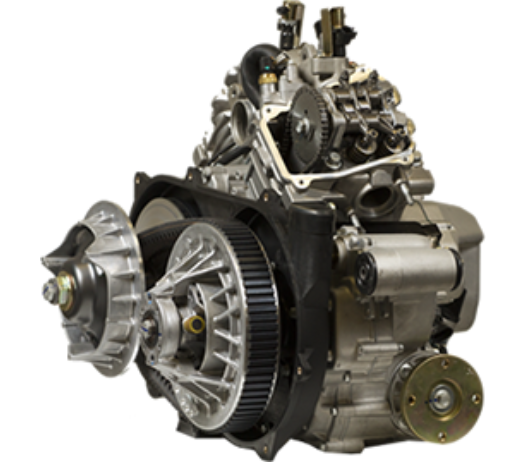 This 4-stroke, 8-valve electronic fuel injected engine can reach up to 60 miles per hour! It is available on the Intimidator Classic and Crew models. Not only is it fast, it is torque optimized with class-leading towing and cargo capacity, so you have the ability to haul just about anything. The shift-on-the-fly 4WD and locking differentials add even more substance to a powerful, American-made Intimidator UTV. Don’t just work, hunt, and play. Work, hunt, and play…even faster. Check out our website at intimidatorutv.com to learn more about the 800cc gas engine and the NEW Intimidator UTV that is taking the UTV market by storm with the highest performance and durability standards in the industry. Want to get your hands on one of the best UTV’s on the market, then check out our DEALER LOCATOR to find a dealer near you!